For simple and reliable solutions within general air sensing applications, ATC Semitec offer a wide range of epoxy coated NTC thermistors. Utilising our Semitec AP-2, AT-2. ET, NT-4 or SP series thermistors, we can offer you a wide range of R25 and B values, depending on your specification. 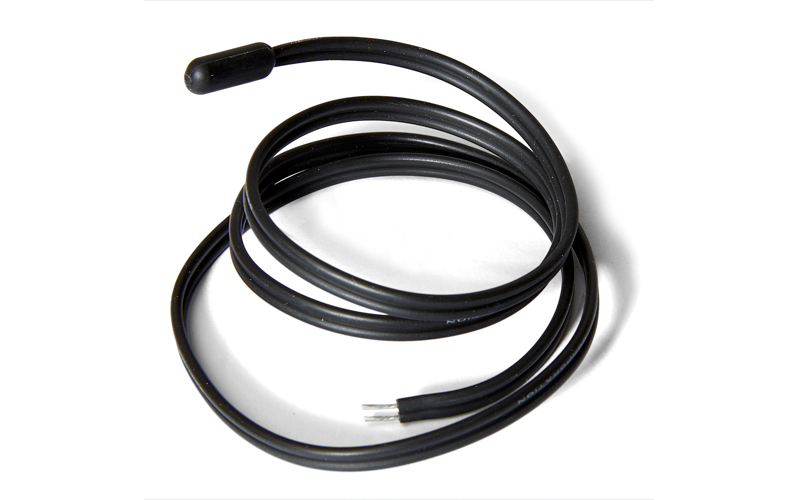 These fully encapsulated temperature probes offer either IP67 or IP68 waterproof protection, they can be supplied with a variety of cable lengths up to 10 metres, and are available with or without terminals to suit your application needs. This is one of the simplest forms of thermistor sensor available. The NTC element is first soldered to lead-wires and then encapsulated in several layers of epoxy to provide an environmental seal and mechanical protection. A wide range of single-insulated, fully encapsulated sensors are available utilising our AP-2, AT-2, ET, NT-4 or SP series thermistors, offering you a wide range of R25 and B values. Offers up to IP67 waterproof protection. Where an even higher water-proof integrity is required, our ATC semitec IP68 sensors ensure that water ingress will not be a problem. Moulded in TPE, the sensing portion is 5mm dia. x 20mm long. Available in single or double-insulated formats. Suitable for continuous use from -50/+110°C, they can also tolerate 125°C for periods up to 3000 hours.